under the turkey skin and in the cavity, along with butter and herbs to make it extra tasty. I love the flavors these add to the turkey . . . and the gravy! What do you do to make your turkey extra tasty? 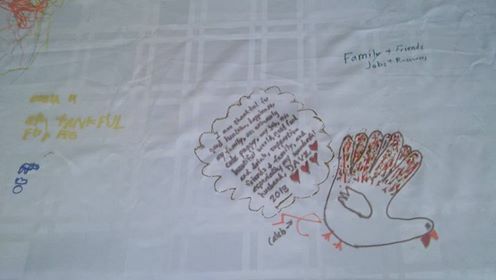 Also, if you are looking for something special you could do for your Thanksgiving - and still pull off at this late date, consider trying my Thankful Thanksgiving Tablecloth. 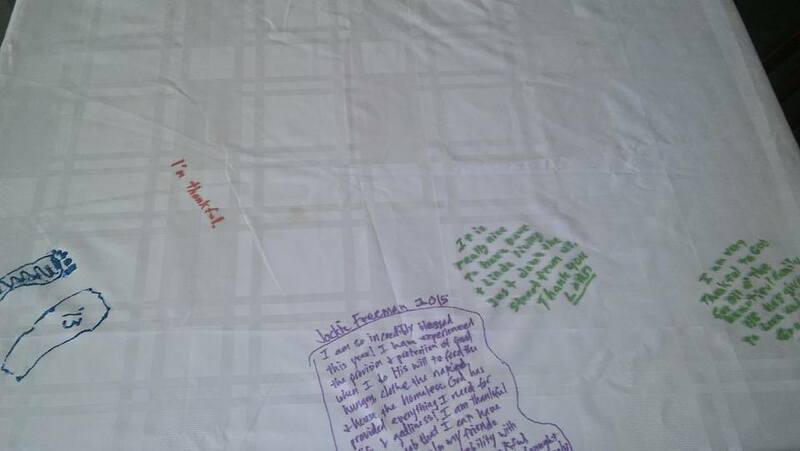 All you need is a white tablecloth and permanent ink pens. At some point in your meal (I usually do this after dinner) hand out the markers and let everyone draw or write about something for which they are thankful. 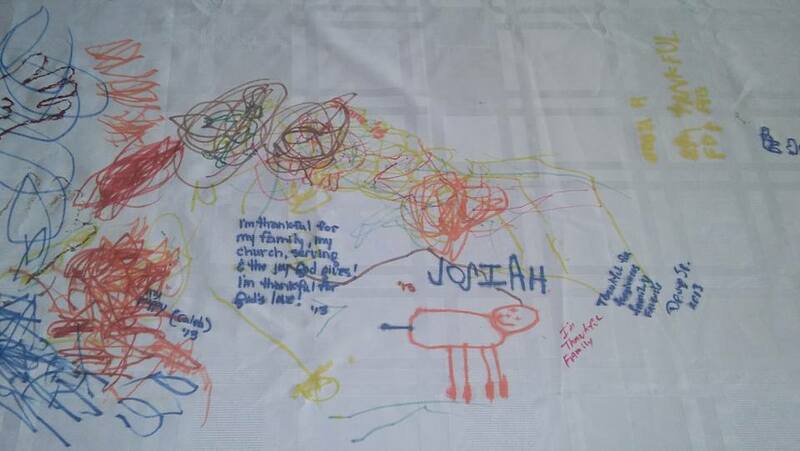 Be sure to date (and write what the little ones drew/scribbled, so in following years you will know what it was for which they were thankful!) 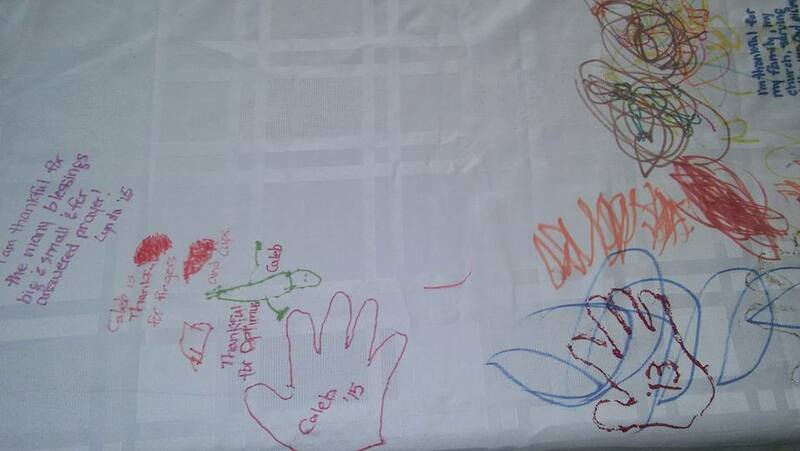 If you are planning to try this with your family, be sure to put something between the table and your Thankful Thanksgiving Tablecloth, so the ink from the pens does not soak through to your table! Use waxed paper, newspaper or plastic, but be sure to put something there to protect your table top!